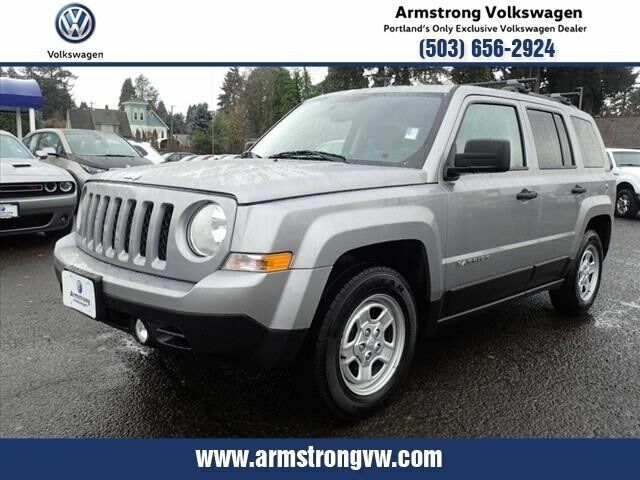 Located near Portland, Oregon, Armstrong Volkswagen has a huge selection of used cars, trucks, and SUVs to choose from. And whether you're driving from Gladstone, OR or Beaverton, OR, you're sure to find the perfect used vehicle for you and your family. Go ahead and browse our used inventory below where you can search by make, model, price, and more. Finally, please notice that most of our pre-owned vehicles are priced thousands of dollars below KBB's suggested retail price. Just another way we help you save at our Portland, OR Volkswagen dealership. Call now for more information, or visit us today for a test drive to remember. At Armstrong Volkswagen we want you to find the perfect vehicle, and we'll work hard to make sure you do. Simply tell us what you're looking for and when it's available you'll be the first to know! By submitting this form, you agree to be contacted by Armstrong Volkswagen with information regarding the vehicle you are searching for. If you'd like even bigger savings on top of our already low prices, check out our exciting inventory of used vehicle specials. Then if you'd like to see the biggest bargains on our lot, head over to our deals under $10,000. Finally, if you have a trade-in vehicle, but you're not sure how much it's worth, be sure to use our free trade calculator service right away. Think getting behind the wheel of the perfect used vehicle is a complicated process? It's not. Just get in touch with the friendly folks in our auto finance center near Portland, OR for personalized assistance. We can help you get financed even if you don't have perfect credit. So what are you waiting for? Call today or fill out our short, secure online auto finance application now.